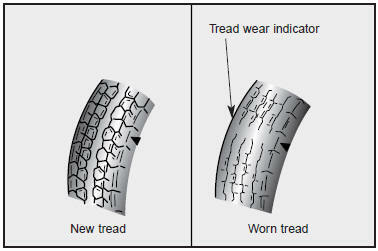 If the tire is worn evenly, a tread wear indicator will appear as a solid band 1/2 inch wide (12.7 mm) across the the tread. This shows there is less than 1/16 inch (1.6 mm) of tread left on the tire. Replace the tire when this happens.